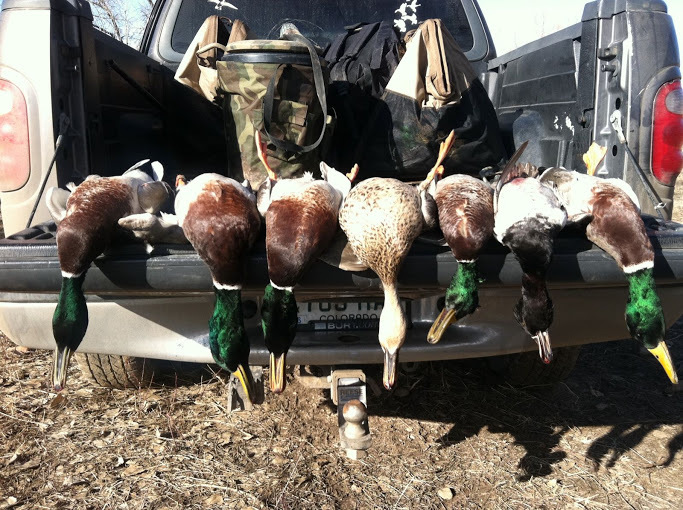 Looking for the best Colorado duck hunting experience possible? 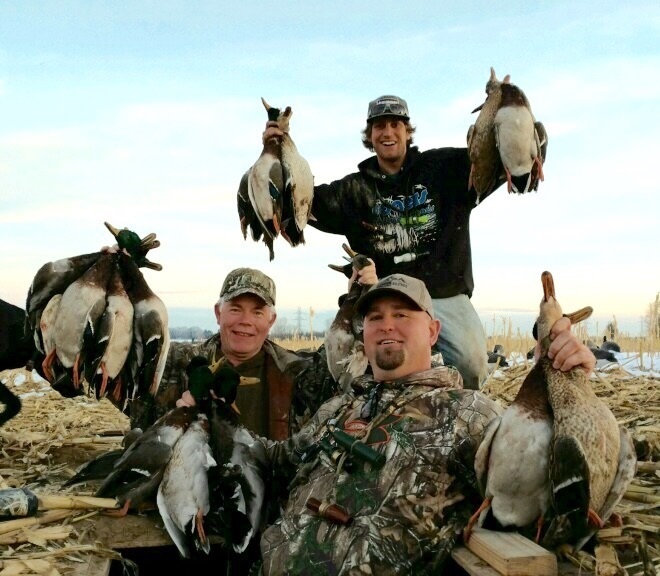 Contact our experienced duck hunting guides and get to duck hunting! 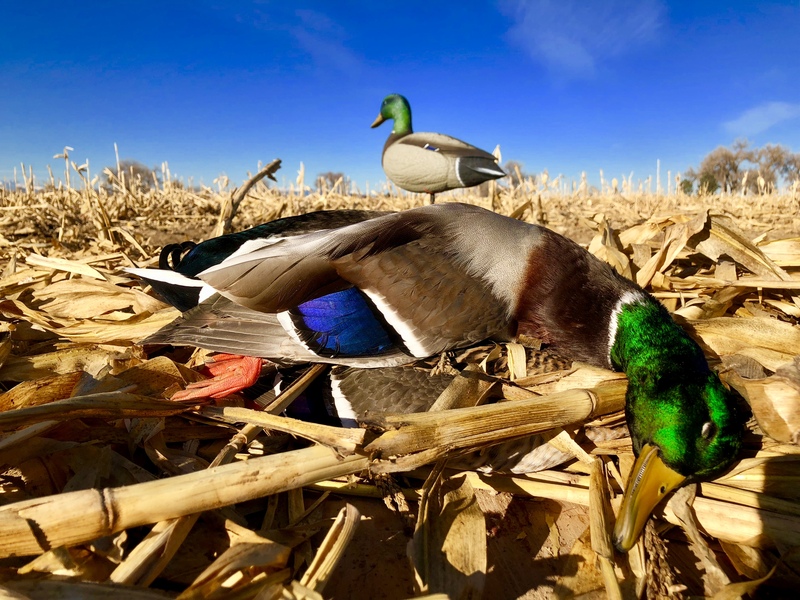 Birds & Bucks Outdoors aims to deliver the best duck hunting experience to hunters. 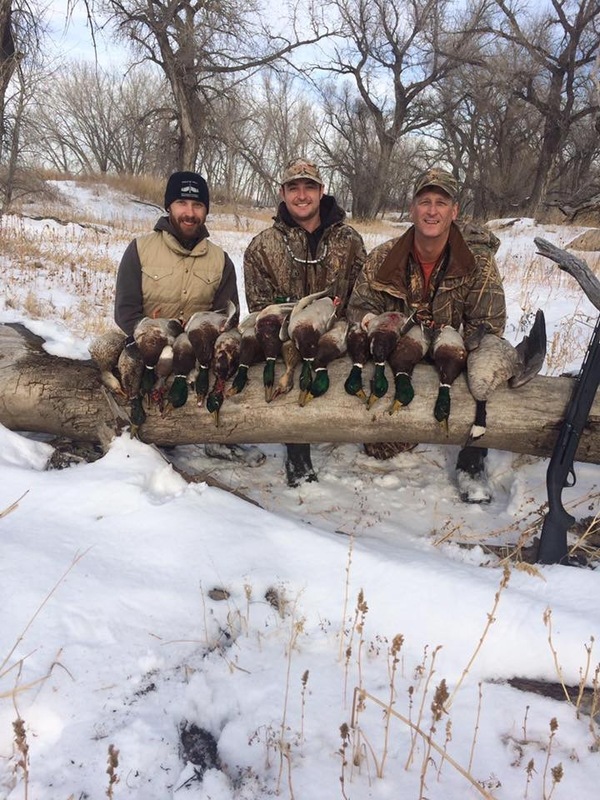 If the fast paced action of whistling wings everywhere is your thing, then we highly recommend booking a trip with our experienced Colorado duck hunting guides. Whether you fancy early season open water duck hunting or a late season field, river, or warm water slough hunt, we have the experience and the properties to put the birds right in your face. 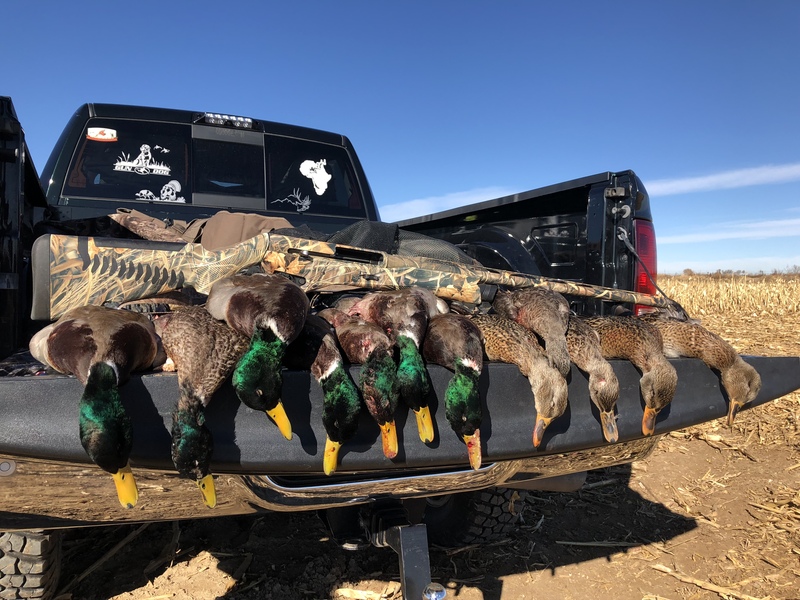 Colorado experiences a wide variety of ducks (mallard, pintail, redhead, canvasback, widgeon, gadwall, teal) throughout the migration period and our guides & properties will put you right where you need to be to have the best Colorado duck hunting experience possible. – Hunt is 1/2 day or when limits of ducks are harvested. – These hunts occur in fields, ice or river bottom. Hunts are full day or when group has limited out. If you’re interested in doing it yourself, check out our “Waterfowl Hunting Club” page. Our club offers something for everyone.